While Original Medicare is supplied to help with basic medical care…it only helps with basic medical care. Meaning that, when you really need medical attention, Medicare will only cover a small portion of what you could be charged for. That’s where the Medicare Supplement plans come in. They fill in the gaps that are left over from Medicare and help to cover you in times of need. Original Medicare does provide coverage for mostly serious occurrences, but, more often than not, there are wide open areas between the coverage Medicare provides and the health care services charged to most patients. When this happens, that difference comes out of your (the patient) pocket. 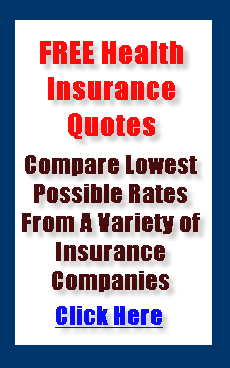 Medicare insurance is divided into two main categories: Medicare Part A and Medicare Part B. There are gaps in coverage for each category. Medicare Part A mainly covers inpatient hospital costs, inpatient nursing facilities, home health care and hospice services. There are gaps in this coverage regarding hospital deductibles, coinsurance payment and hospital stays over 150 days, nursing facility coinsurance payments and stays over 100 days, as well as particular home health aide services. These gaps can certainly affect you when you need it the most and add up to many out of pocket expenses that could change your savings balance in an undesirable way. Medicare Part B is provided for outpatient and physician services, medical equipment, prosthetic devices and ambulance transportation. Gaps that can be seen in Part B coverage relate to the annual deductible, the 20% coinsurance charge and fees that can result when the doctors charge more than Medicare actually covers for services. This is where the Medicare Supplemental plans can really come in handy and help in times of needed medical care over long periods of time or in times of serious medical emergencies. Without the added coverage, many people find that the endless, serious medical bills that can result from an unexpected illness or accident cause serious financial strain and can change their quality of life for years to come. Of course, you never expect that you will really need this Supplemental coverage, but not being prepared could cost you more than you think. As with all insurance, it’s hard to be over-prepared for a disaster. It is recommended that Medicare recipients purchase Supplement plans to help avert the financial repercussions of a true emergency. If you are a senior who is a Medicare beneficiary, you are guaranteed by law to be insured by Medicare Supplemental policies of your choice. Seniors also cannot be made to prove insurability, meaning that you do not have to pass a physical exam in order to identify pre-existing conditions. Medicare Supplement plans are the smart choice for those seniors that want to cover their bases, have peace of mind and know that, in times of need, they have more than the standard Medicare coverage and will be taken care of during and after a medical emergency, no matter what.